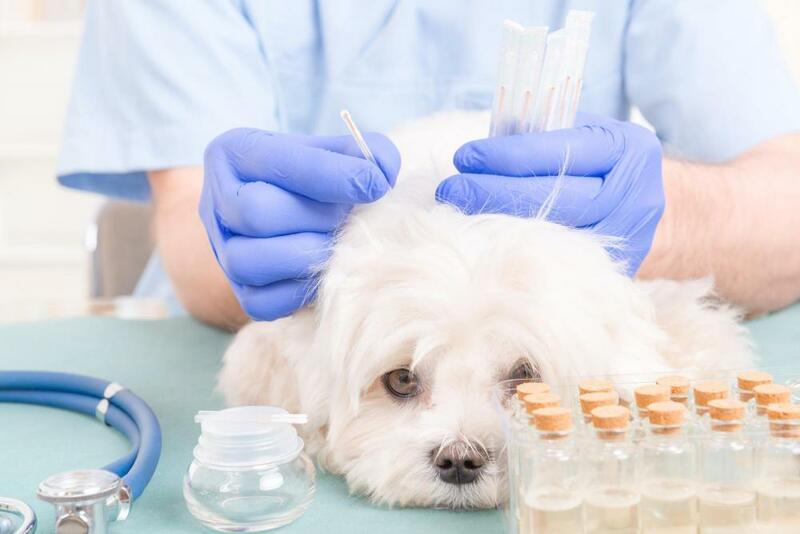 At Branchburg Animal Hospital, we take a holistic view of pet wellness by incorporating Traditional Veterinary Chinese Medicine practices including pet acupuncture. We are happy to be among the only providers of pet acupuncture in the Branchburg / Bridgewater / Bedminster area. Acupuncture is a form of Chinese medicine that can be used to help not only people but also your pet. pet acupuncture is a proven, safe, effective way to treat many health conditions. Acupuncture for pets works like acupuncture for humans. Small needles push the life force energy (or qi) around your pet's body. The needles are able to dissolve qi blockages and move qi evenly around the body. As we move the qi so that it flows properly through your pet's body, health problems start to resolve naturally. With a condition like arthritis, acupuncture treatment can reduce inflammation of the joints that causes pain. Traditional Chinese Veterinary Medicine views diseases as developing the personality and body type of the particular patient. Thus, we may treat three dogs with arthritis who have different personalities and types. By taking the dog's personality into account, we may look for an underlying yin or yang unbalance or an excess or deficiency of one element (such as fire or water). By moving the qi to correct the imbalance, we can provide the right treatment for the right pet at the right time. This results in specific healing of the underlying root causes of each pet's health complaint. Because Chinese Medicine is natural, it can safely be used with a Western medication treatment without worry of interference. With all of our pet acupuncture treatments, we review the medical history and any new symptoms that have developed. Performing a TCVM exam, we are able to see where your pet's qi is blocked. We then insert thin needles, which most pets do not feel at all, that stimulate the qi. 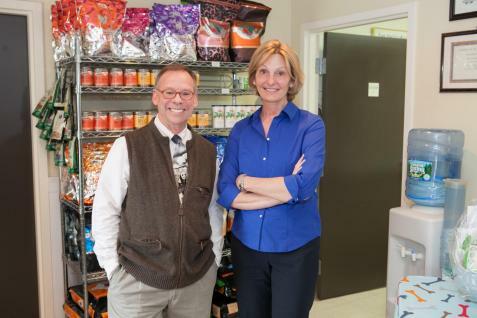 Our veterinarian, Dr. Derfuss, has been providing pet acupuncture for over 12 years in tandem with conventional Western veterinary care, and Dr. Colquhoun is also a long time acupuncture practitioner. If you are ready to try something different to treat your pet's health complaints, try Chinese Medicine at our Branchburg Animal Hospital! Schedule an Appointment with our Branchburg Animal Hospital Acupuncture Team Today! Would you like to learn more using acupuncture and other forms of Branchburg Chinese Medicine for your pet? Dr. Derfuss and Dr. Colquhoun are here to help. Complete the appointment request form or contact our Branchburg Animal Hospital today at 908-707-0045 to get started.